Our latest collaboration with @konatsu_tunacan is the return of a popular colorway in Daioh Negora form! The perfect companion piece to our NYCC 2014 Negora, the NYCC 2017 Daioh Negora is made in clear green sofubi with gold and silver accents. 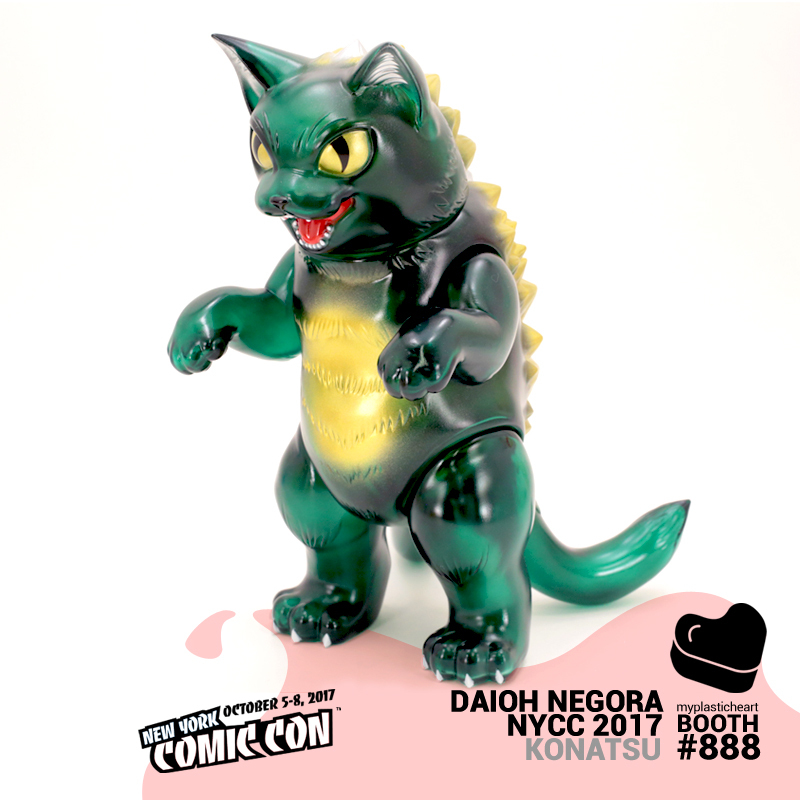 Daioh Negora NYCC 2017 will be available at the myplasticheart booth #888 during New York Comic Con.